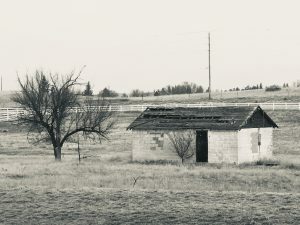 Not far from my home, in the center of an open field, sits a dilapidated shack. The roof is caving in. The doors have fallen off. Each passing prairie storm beats it down a little more. I drive by it often. It always reminds me of the best-selling book “The Shack” and its gripping story of a bereaved father. The “shack” is both literal: the scene of his beloved young daughter’s murder; and figurative: the metaphor of a wounded human soul. God meets him in that place of devastation, then leads him on a soul-searching journey through the heartache to the healing. Lately, I’ve felt like I’ve been in the shack with God. My job as a Client Advocate at our local pregnancy center has been tough this past year. The cumulative effects of stressors in my personal life, changes at the center, and clients in crisis eventually took their toll. My roof began to leak and my doors became unhinged. Each pounding storm beat me down a bit more, until I found myself broken down. Emotionally exhausted. Weary of the work. Numb. There’s a name for this condition: Compassion Fatigue. I’m familiar with this term. I even taught our new staff about it. But I missed its warning signs in my own life. The point is, the Helpers are now in need of Help. “Self care = Client care,” I taught our trainees. It’s not selfish to take care of one’s self. “Put your oxygen mask on first,” flight attendants instruct their passengers. Then you can assist others. Because what aid can we render if our own roofs are sagging and in need of repair? Not much. How can we nurture others if our own cells are depleted and oxygen-deprived? Not well. But into the ruins, the Triune God comes. He pulls us out of the rubble, soothes our damaged emotions and bandages our wounds. He helps us confront our fears and confess our failures. He teaches us valuable lessons. It’s not always pleasant, this soul-revealing, soul-healing journey. But it is necessary. And it is good. He is a Good Shepherd. He is restoring my soul. He will restore yours too. I strolled right past this simple pencil drawing at the silent auction last month. I honestly don’t remember ever seeing it. My co-worker’s husband purchased it for our pregnancy center. He proudly showed it to my husband and me as we exited the banquet. Still, I didn’t think much of it. Wow. 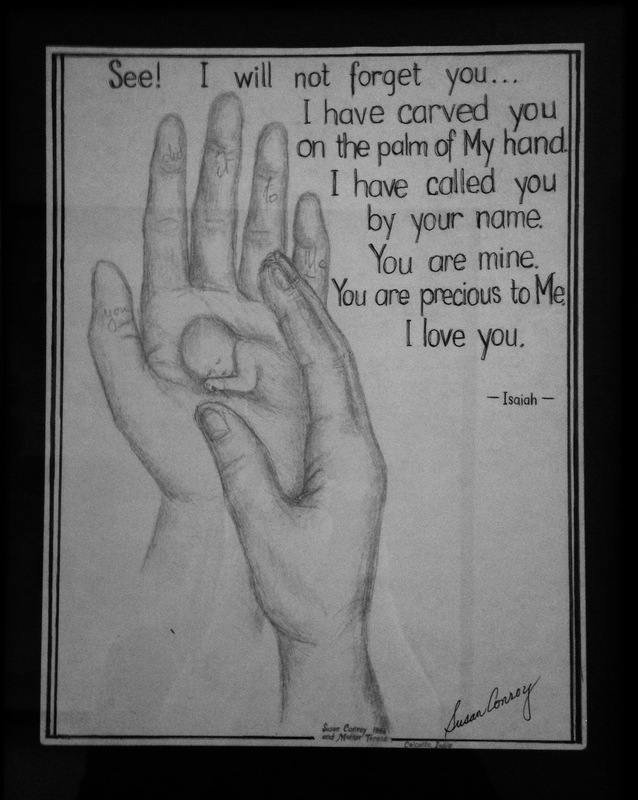 This was an original piece of artwork, conceived and commissioned by Mother Teresa herself! I realized that the drawing–that I had disregarded–was instead something very special. 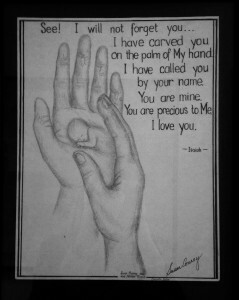 Jesus’ own words, written in her own handwriting. What a treasure! The drawing now hangs in a place of honor in our center. I pass it in the hallway each day as I head up the stairs to my office. It reminds me of the evening of the silent auction. How I missed it, then dismissed it. Just like I do with people. How many have I just passed by, too busy or preoccupied to notice? How many have I glanced at with my eyes, but then rejected with my mind? Sized up based upon their outward appearance? Judged in a split second, before taking a few moments to learn their history? My job at the center has been good for me. I’ve interacted with people I never would have had the opportunity to meet otherwise. They are sometimes uneducated, unemployed, unkempt. But then they share their stories. My eyes are opened. My heart is moved. I can appreciate their uniqueness. I understand their worth. I am learning to care for them. I am beginning to treasure them. I am preaching His Gospel to myself. The one in five little words. The one that changes everything. This fall I have the opportunity to teach, for the third time, a class at our church called “Foundations: Christian Living.” I’ve known and walked with the Lord for over three decades. I should have this Christian Life thing down by now, shouldn’t I? Well, turns out I don’t. It’s easy to become discouraged when the gap between Who-I-am and Who-I-am-called-to-be appears to widen instead of narrow. Being confronted with one’s weaknesses and failures at this stage in the game can certainly intensify feelings of unworthiness and inadequacy. The enemy of my soul knows and loves to exploit this. Who are YOU to teach a class on the Christian life? Look at you! All this time, and you still don’t have it together. What kind of example are you to these young believers? We have this treasure in earthen vessels. I caught my breath. Tears sprang to my eyes. I repeated this verse, which is from 2 Corinthians 4:7, over and over as I continued down the dirt road, meditating on the meaning of His words. We have this treasure… Jesus… the Pearl of Great Price… the One Thing that Matters… I have Him! 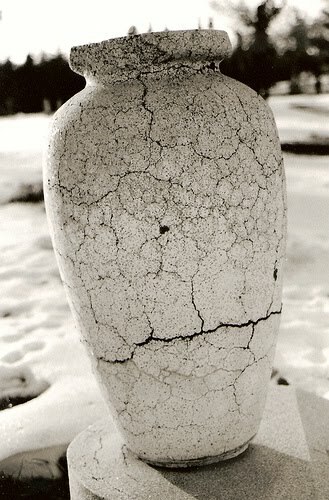 …in earthen vessels… that’s me all right… weak… flawed… inadequate… unworthy. See? Just look at you! That ‘other’ voice taunted again. Only now I knew how to respond. Rather than disqualify us for ministry, what if our flaws even help to enhance our effectiveness? After all, they keep us humble, honest, and dependent on Him. Isn’t that the best and safest place to be? He is the Treasure, extraordinary and perfect. May our weaknesses draw attention to HIS greatness, and our imperfections serve to showcase HIS glory.